During an audit, unsupported deductions on your tax return can land you in hot water with the Internal Revenue Service. 415 Group Senior Manager Christina Schatz, CPA, explains how taxpayers can protect themselves by following recordkeeping best practices. “I run into this issue a lot with clients. I frequently hear questions on how to track business expenses, such as auto mileage and travel meals, and what exactly they need to substantiate those deductions on their tax returns. A lot of taxpayers will say, ‘Oh, I drove about 10,000 miles last year.’ But as a tax preparer, that makes us a little hesitant about what kind of support they would have if they were subject to an audit. With technology changing, there’s a lot of opportunities to improve upon your record keeping. Use a smartphone app to track your auto mileage, or add a note to your calendar. It’s surprising in today’s technology-driven world that more people aren’t using these yet. We tend to run into these same issues with noncash charitable contributions. At a minimum, always hang on to the receipt. Anything you receive from an organization, whether it’s the receipt from Goodwill or a letter from Habitat for Humanity, you want to keep those in your tax files. Take photos of the donated items or add a quick note to the document. Try to include as much detail as possible, because you’re not going to remember six months from now. Federal tax law allows deductions for many items, such as legitimate business expenses and charitable donations. But, if you claim deductions on your tax return, you also must maintain adequate records to support them. If your tax return is audited, missing or incomplete records could lead to additional taxes, interest and penalties, as these three recent U.S. Tax Court cases demonstrate. In general, any written evidence that supports figures on your tax return, such as receipts, expense logs, bank notices and sales records, should generally be kept for at least a three-year period. That's because the statute of limitations generally runs out three years from the due date of the return for the year in question or the date you filed, whichever is later. So in most cases the IRS can decide to audit your return anytime within that three-year window. You can also file an amended return on Form 1040X during this time period if you missed a deduction, overlooked a credit or misreported income. So, does that mean you're safe from an audit after three years? Not necessarily. There are some exceptions. For example, some records support figures affecting multiple years, such as carryovers of charitable deductions, net operating loss carrybacks or carryforwards, or casualty losses. The IRS recommends that you save these records until the deductions no longer have effect, plus seven years. Alternately, if the IRS has reason to believe your income was understated by 25% or more, the statute of limitations for an audit increases to six years. Or, if there's suspicion of fraud or you don't file a tax return at all, there is no time limit for the IRS to launch an inquiry. In addition, you should keep records related to real estate for as long as you own the property, plus three years after you dispose of it and report the transaction on your tax return. Throughout ownership, keep records of the purchase, as well as receipts for home improvements, relevant insurance claims and documents relating to refinancing. These help prove your adjusted basis in the home, which is needed to figure the taxable gain at the time of sale, or to support calculations for rental property or home office deductions. Likewise, keep the records for securities for as long as you own the investments, plus the statute of limitations on the relevant tax returns. To accurately report taxable events involving stocks and bonds, maintain detailed records of purchases and sales. These records should include dates, quantities, prices, reinvestment of dividends, and investment expenses, such as broker fees. If you have questions regarding record retention, contact your tax advisor. In this decision, the taxpayers were a married couple who filed a joint tax return. They operated the husband's financial services and consulting business, along with the wife's art business, through an S corporation. The S corporation's losses were passed through to the couple's personal tax return. However, the IRS allowed partial deductions for advertising, rent, gallery fees and supplies related to the wife's art business, because the taxpayers had kept receipts from one of the tax years that showed purchase dates and amounts paid. Other deductions were allowed based on the wife's oral testimony in conjunction with some sketchy recordkeeping. The IRS also allowed partial deductions for amounts paid for massage therapy to treat the wife's severe scoliosis, because the S corporation operated a medical expense reimbursement plan. However, deductions the taxpayers claimed for other medical expenses were disallowed due to inadequate recordkeeping. The Tax Court concluded that the IRS had acted properly when it disallowed many deductions and also agreed that the taxpayers owed the 20% penalty for negligence on the additional tax assessed. The court opined that the taxpayers had failed to produce adequate records to support the disallowed expenses or demonstrate reasonable cause or good faith in claiming the disallowed expenses. Ultimately, the Tax Court sided with the IRS, charging the taxpayers with additional federal income tax of roughly $122,000 and a 20% negligence penalty of more than $24,000. In another recent Tax Court case, the taxpayer worked as an independent contractor for FedEx. Specifically, the taxpayer's wholly owned C corporation contracted to provide services to FedEx and then paid wages to the taxpayer. On his individual return, the taxpayer claimed deductions for contract labor expenses, as well as vehicle depreciation, repair and maintenance. The IRS audited the taxpayer's tax return for the 2011 tax year and determined that the taxpayer had generally failed to substantiate the amount and business purpose of many expense deductions. Other business expense deductions — including those related to a vehicle leased by the corporation — were properly deductible by the corporation (and presumably were) but not by the taxpayer on his personal return. The Tax Court concluded that the taxpayer owed additional income tax of roughly $12,000, plus nearly $4,000 in penalties for failure to file his personal return on time, failure to pay personal federal income tax and failure to make estimated tax payments. Another recent Tax Court decision involved married taxpayers who claimed charitable contribution deductions totaling more than $146,000 on their joint 2011 federal income tax return for donations of clothing, media, furniture and other household items. The taxpayers claimed to have donated more than 20,000 items to Goodwill. The IRS audited the couple's tax return and disallowed $145,000 of the claimed charitable contribution deductions. Why? The taxpayers had failed to properly substantiate noncash contributions that were purportedly worth more than $250. The receipts supplied by Goodwill didn't describe the specific items contributed or indicate the number of items of any particular type. Instead, they simply stated that the thousands of items delivered fell into the categories of clothing, shoes, media, furniture and household items. In addition, donations that were purportedly worth more than $5,000 weren't supported by qualified appraisals. The Tax Court concluded that the IRS had acted properly in disallowing $145,000 of charitable deductions and assessing the 20% negligence penalty (based on the taxpayers' inadequate recordkeeping). The Tax Court noted, "The term 'negligence' includes any failure to make a reasonable attempt to comply with the tax laws, and 'disregard' includes any careless, reckless, or intentional disregard" of the tax laws. The court concluded that recordkeeping failures can amount to negligence. These cases show that inadequate support for tax deductions — such as lack of receipts and other documentation, the use of confusing and inconsistent accounting techniques, and vague testimony — can have expensive tax consequences. In addition to owing additional tax, taxpayers who claim unsubstantiated deductions may also be assessed interest and penalties on their unpaid taxes. The Internal Revenue Code, the IRS, and the courts don't distinguish between completely bogus deductions and deductions for legitimate, but unsupported, expenses. In either case, you can get into the same amount of trouble. Will your recordkeeping practices survive IRS scrutiny? 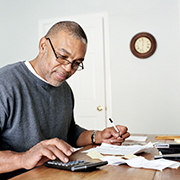 Contact your tax advisor to fortify your recordkeeping procedures and help support your valuable tax write-offs.